On Monday the San Diego Chargers announced they would be retaining head coach Mike McCoy for a fourth season, but Tuesday announced that six assistant coaches would not be joining him. 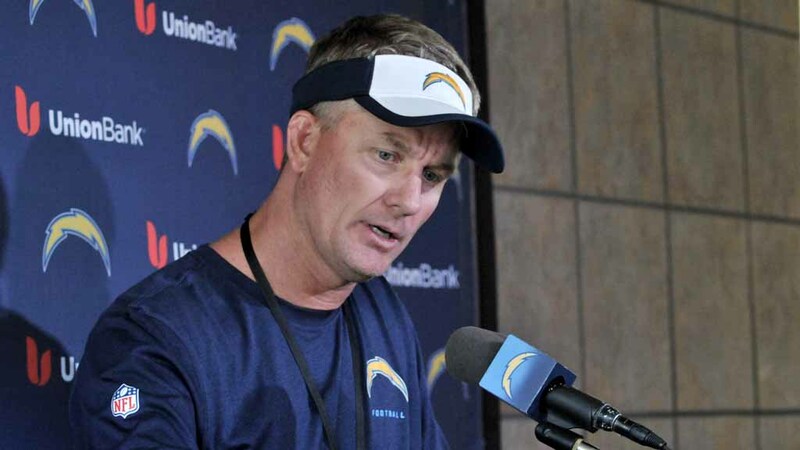 The Chargers fired offensive coordinator Frank Reich, offensive line coach Joe D’Alessandris, tight ends coach Pete Metzelaars, wide receivers coach Fred Graves, defensive line coach Don Johnson and assistant offensive line coach Andrew Dees. They did retain defensive coordinator John Pagano, whose job was reportedly on the line after McCoy was retained, and the team also retained linebackers coach Mike Nolan. After the team’s worst season since 2003, there were mixed reports on the future of McCoy, but the team has decided to let him finish out the last year of his four-year contract. Reich, D’Alessandris, Graves and Dees started coaching for the team in 2013 when McCoy was hired. Johnson has been with the team since 2009 and Metzelaars joined the staff in 2014.